University of Petroleum and Energy Studies was entrenched during the year 2003 in Dehradun city of Uttarakhand state. The university is recognized by University Grants Commission and accredited by NAAC. The university is a member of Association of Indian Universities. University of Petroleum and Energy Studies is spread across 42 acres of land with cutting edge infrastructure. University of Petroleum and Energy Studies offer degree programs in the fields of energy and power. University of Petroleum and Energy Studies facilitate Auditorium, Library, Transport, Sports, Health & Medical care etc. The Best Global Education Provider 2008 by Get energy, Best innovative University Award 2013 etc. 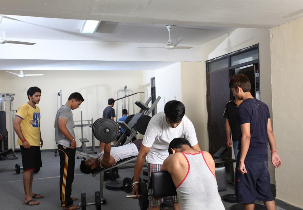 University of Petroleum and Energy Studies enables students to take an active part in various co-curricular and extra-curricular activities. The institute organizes various fests like Cultural activities like dramatics, Speaking, Literary Arts, Music and Fine Arts. UURJA: annual youth festival includes games and musical concerts, IGNITE: the Annual Techno-Legal-Management festival, UPES SPE Fest, GEMS team of UPES organized an instrumental competition and KALAKRITI - Your strokes, their smiles: the event organized by UPES GOOGLE HUB are conducted by the institute. 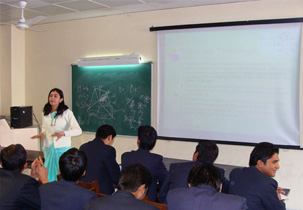 The university was given the Best B-School Award with Excellent Industry Interface in the year 2009. The students are provided with scholarship opportunities based on the merit as per the University policy. The University has a placement record of 91% in the previous years in top organizations with good salary package. Hydrocarbons Education and Research Society was established by the university to improve research opportunities. 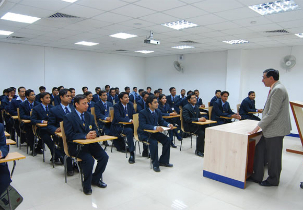 The university provides nearly 9900+ placements having links with more than 1050+ recruiters for hiring the students. About 60% of the repeated recruiters visit the campus every year and the placement record in the past years of 2017-18 is 94%. Regular recruiters are Amazon, L&T, IBM, Nestle, Weatherford and Microsoft and the university has industry alliances with Bosch, Philips Carbon Black Limited, Xebia and Cisco. 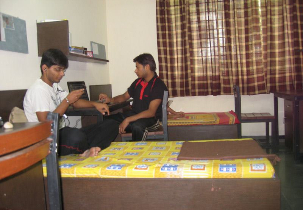 The hostel facility is present on campus with 5 blocks separately for both men and women with triple sharing rooms having attached washrooms. The hostel has common room for drying clothes, common bathroom, 24/7 hot water supply and electricity available all the time. Free internet up to 40 GB with 10 Mbps speed is available per month and court is present for indoor games like pool table, boxing, carom and badminton. The university provides the students with B.Tech and MBA courses with curriculum designed by experts having much industrial experience in the respective fields. The B.Tech course is of 4 years (8 semesters) and MBA is of 2 years (4 semesters) duration. University of Petroleum and Energy Studies is located close to George Everest’s House, Bhatta Fall, Malsi Deer Park, Gun Hill Point, Shikhar Fall, Mossy Falls, and many such entraining attractions nearby to visit during an individual’s leisure time. please mail me management quota admission. 12th 57 %.? Fee for management quota is little higher than the regular fee. Can I get admission in UPES on the bases of my 12th results? What is the criteria or percentage through which UPES takes admission?? when to apply for BBA course? what is the fee for study b,tech petroleum? Total FEE structure in University of Petroleum and Energy Studies Dehradun for B.TECH Applied petroleum engineering will be 13,89,750/-. Hostel fee will range from 130,000-163250. Are you Interested inUniversity of Petroleum and Energy Studies Dehradun"? Please provide the following details.